Bungie has been talking about the multiplayer beta for Destiny since last November, announcing the first taste of their highly anticipated follow up to the Halo series would arrive first on the PlayStation consoles for those who pre-ordered the game, and then on Xbox. 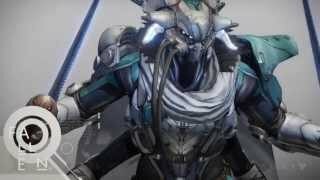 While many people got their feet wet with the Alpha which dropped during E3, the beta seemed to be where Bungie would really solidify their vision of the game with the mass audiences. During the Alpha and my time with the game at E3, I talked about a couple of multiplayer matches I participated in, a strike mission I went on with a few strangers, the one story mission made available, and a handful of missions I could participate in using the game’s exploration mode. Coming out of the Alpha, it looked like Destiny would lean more heavily on its MMO concepts and lose a lot of rigid mission-structure from the Halo series, but Bungie squashed that theory with the beta, allowing players to participate in a series of story missions which took place on Earth in Old Russia, the same setting as the Alpha. Before jumping too far into the content added in Destiny’s beta, let me talk a bit about playing the game in a cooperative setting. Usually I play games on my own, seeking solitude and begrudgingly pairing up with strangers when duty calls for it. However, I got a few friends together and really tried enjoying Destiny from a cooperative standpoint. Now that you know my feelings toward playing games cooperatively, you’ll have some context when I say playing Destiny with friends is by far the best way to experience the game. I guess it shouldn’t be too surprising. Bungie has a history of creating great multiplayer experiences with Halo, both cooperative and competitive. While plenty of people likely link their memories to Master Chief going solo, there are a large amount of Halo players who enjoy playing the game’s cooperative modes or whose thoughts of Halo remind them of nights spent in a friend’s basement, squeezing people into a room with two TVs for the ultimate multiplayer experience at the time. Destiny picks up where Halo left off with cooperative gameplay. Wandering through the dark corridors of Old Russia is fun by yourself, but the varying enemies often caused me to implement a push and retreat strategy. With these tactics I would work my way into a room, systematically eliminate enemies, and then retreat back as I started taking heavy damage. It’s fun, and Destiny still encourages player movement with enemies flushing you out of areas and coming at you in creative ways, but playing with a friend tips the scales back in your favor as you can start flanking, rushing, and strategizing in more creative ways. Destiny not only allows you to change strategy when playing with friends, but its class system encourages teamwork in a way Halo never did. Numerous times my friend would draw enemies to him as a Titan and I would use my Warlock to maneuver behind our foes and unleash devastating attacks. Unlike Halo, you’re not cycling through weapons enemies drop on the fly, but are searching through loot and using weapons for longer stretches of time. The different weapons, the set classes, it all means that Destiny is much more about coming up with a long term strategy which works for you and your friends. Destiny’s most recent beta opened up about 4 more story missions than were available in the Alpha, showing the game focuses more heavily on the plot than the Alpha implied. Story missions are broken up with some cutscenes which fill in gaps of game’s high sci-fi narrative, featuring characters from factions like “The Fallen”, “The Traveller”, and “The Darkness”. There still seems to be some ire for Peter Dinklage’s performance as your Ghost AI companion, but I found him serviceable as his voice had received post-production work since the Alpha. There clearly seems to be some fine tuning still going on with the game’s narrative and characters, so there’s nothing substantial to report on that end. Getting more story missions from Destiny was refreshing as this is where the game really feels polished. Bungie consistently changes how enemies attack you, uses dark hallways to create tension, and has well-crafted environments to organically funnel you through their level design. We have yet to see more of the game than Old Russia, however Bungie allowed a brief glimpse at a Moon mission, and Venus was shown off in multiplayer. Based on the content in the beta, it looks like Destiny’s story will hop around our solar system, attempting to showcase new environments by having players explore planets in our Solar System. Each planet will have a few story missions, an exploration mode, and a strike mission which is separate from the main campaign. The exploration and strike mission in the Beta were similar to what I experienced in the Alpha, and adding friends didn’t dynamically change the experience. Exploration mode had us playing follow-the-leader around Old Russia, completing missions as simple as “Kill 10 of These” or “Explore This Area”. The strike mission was little easier when we had three people all communicating with each other, but still the fights were long and tedious. We also spent some time in The Crucible, but its multiplayer experience changes little when you are sharing it with friends. Hooking up with friends and forming Fireteams in Destiny feels like gathering people in an MMO party. You are waiting for people to connect, sending and resending party invites, learning that one of your friends isn’t leveled enough to play in The Crucible; it felt like a bit of a hassle in the beta. Also, Destiny caps your party at three people when playing strike, story, or exploration missions. So if you have more than two friends online at a time, you will have to leave some people out in the cold. In The Crucible you can have up to six people in your party, but all must be higher than level 5. One of the little tweaks the game has when playing with friends is when you are loading into an area, you see all of the ships piloted by you and your Fireteam. It’s a small change, but a nice way to remind the player of the difference between playing with friends and going alone. The multiplayer character interaction of Destiny is loosely based on MMOs. The D-pad allows players to sit, point, waive, and dance. Needless to say, during my time with the beta, there was little pointing, waiving, or sitting, but there were dozens of goofs looking for a dance partner. I might have been one of them. I also found a soccer ball I could kick around the game’s central hub. I tried getting some people to kick the ball around with me, but few were interested. It’s clear that Destiny plans to sprinkle interesting ways for players to interact with each other, but who knows if anyone will take to these ideas. 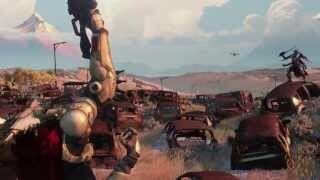 With September approaching, Destiny is quickly morphing from the abstract idea we heard about back in 2012 to a very real product which should be coming to consoles in a little over a month. Destiny’s beta demonstrated how Bungie plans to move players from location to location and what kind of mix you can expect between story and exploration. More than anything, my time with the beta convinced me that Destiny is a game that might be best experienced with friends. Look for Destiny on PlayStation 3, PlayStation 4, Xbox 360, and Xbox One on September 9th.